Wir sagen heute ein riesiges DANKESCHÖN an unsere Carfrogger Community. 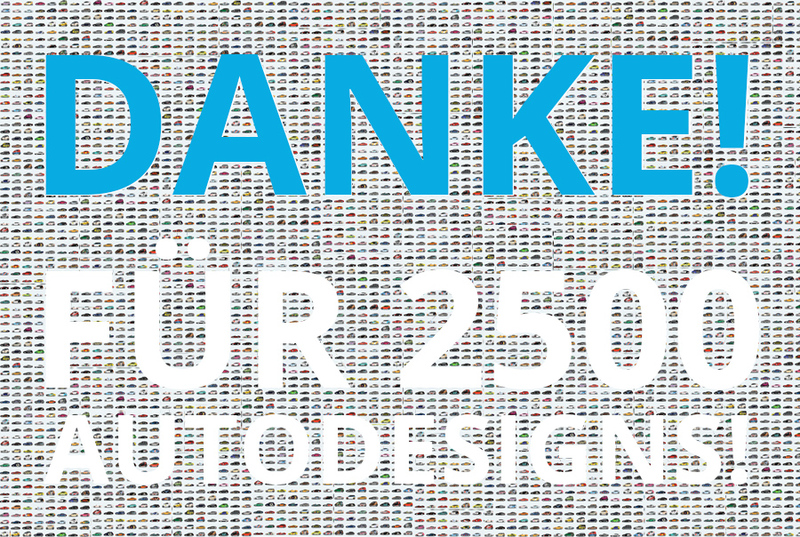 Mit Eurer Hilfe haben wir die 2.500 Designs geknackt. Weltweit ist diese kreative Leistung einmalig! THANK YOU for 2500 Designs! A big THANK YOU goes out to our Carfrogger Community. 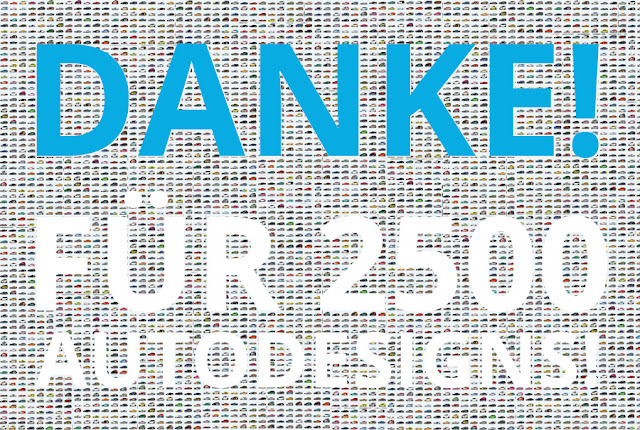 Thanks to your creativity and hard work we now offer more than 2.500 car design. 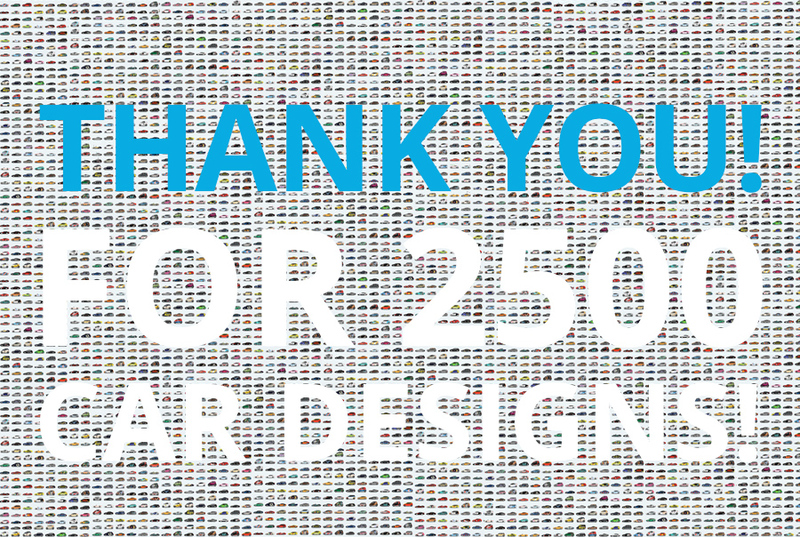 This abundance of individual car designs is worldwide exclusively found on Carfrogger! Keep up the great work and have fun on carfrogger.de.